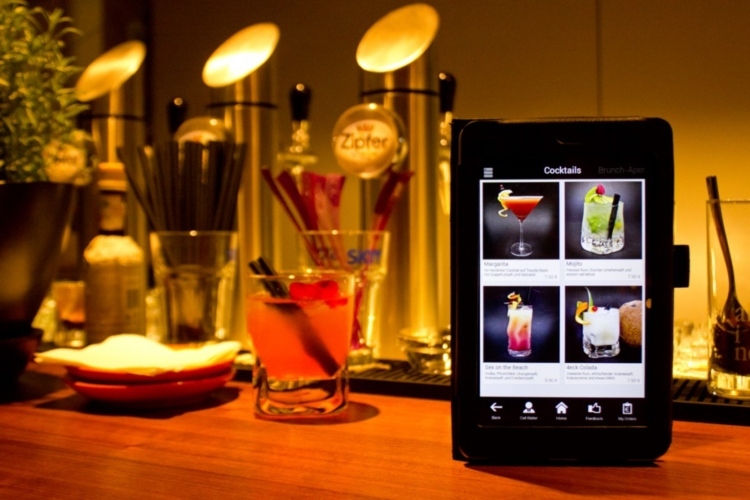 Bars and restaurants have embraced the latest technologies with enthusiasm, and their readiness is easy to understand. Bar technology has the potential to modernise one of the oldest of trades. Even the most capable manager needs support, and industry-specific software enables them to check inventory and compile sales reports with far less difficulty. Of course, patrons benefit as well. Beyond the value of technology for management, recent innovations have changed the way customers enjoy their experience when drinking with friends and family. Customer-facing technology has created an engaging atmosphere which feels unique and personal, making for memorable visits and positive reviews. So what does bar technology look like, and what are some examples of their implementation? What advantages do patrons — and management professionals — gain from the integration of new systems and software? 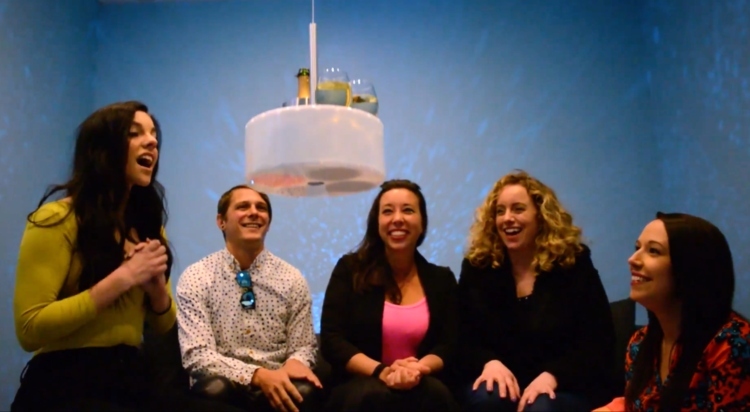 We’ll answer those questions and others like them, exploring bar tech in greater detail. Touch-screen monitors are an adaptable bar technology with a diverse range of applications. 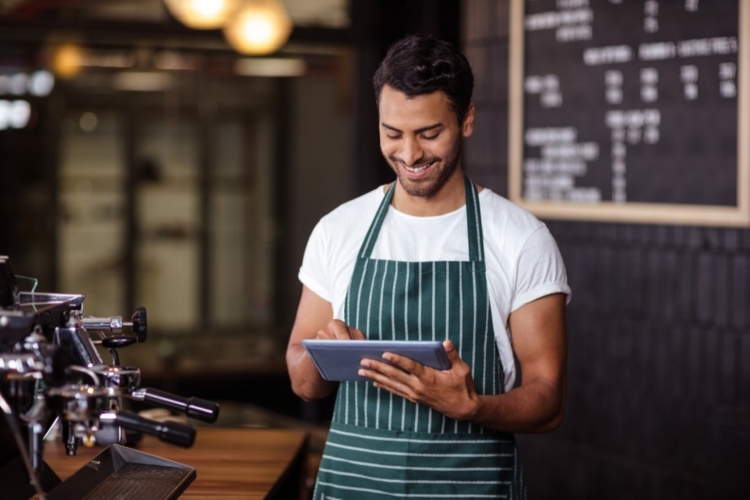 Customers can browse a digital version of a menu and order what they want without speaking with a server, simplifying the ordering process for everyone involved. It doesn’t replace waitstaff but allows them to cover more tables. In terms of financial benefits, digital menus can increase sales by as much as 27 per cent. Because the format of the menu allows for more pictures, longer descriptions, and automatic prompts to upsell customers, they’re an attractive tool for managers hoping to earn a higher profit for their bar or restaurant. These monitors also serve a secondary purpose for trivia nights. Since digital menus can double as trivia tablets, customers can use them to enter their answers and follow an automated scoring system. It’s far more convenient than the old-school pen-and-paper method which many patrons are accustomed to. Josh Goodman, the founder of ‘PourMyBeer’, is at the forefront of the self-serve revolution. His company supplies establishments with unique machines that allow patrons to pour their own beer. Though the concept is simple, it’s a groundbreaking innovation in the way that bars distribute drinks to their customers. 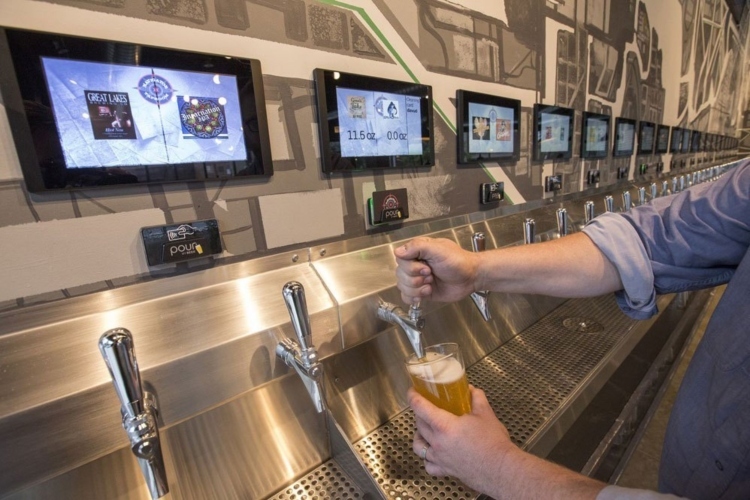 The self-serve beer tap functions using a radio-frequency enabled microchip inside a card. The microchip receives the requisite information which the self-serve tap recognises, and the cycle is complete when the encrypted data travels back from the machine to the card. The actual process is far less complex to watch. A patron only needs to touch the device with their card, pairing the chip to the sensor, and they can pour their own drink, deducting it from the chip’s data. Each card comes preloaded with two drinks and is loaded again when a customer recharges the chip. This accounts for their safety and prevents over-serving. Two bars in the United States are beta testing a new innovation in bar technology to improve the order and delivery of drinks. Tokyo Kitty, a Cincinnati karaoke bar, has incorporated a robot which assists with serving customers. It isn’t a typical robot, but a tray which the bartender loads with drinks that moves through the bar’s ceiling via a pulley system. While this type of simplified delivery is still in its early stages, it might see greater adoption in countries across the world if the system proves popular. It has distinct appeal, especially in establishments with rooms reserved for private parties. Other karaoke bars like Tokyo Kitty will likely see the benefits. It’s also exciting to consider how other bars will take advantage of their vertical space. While managers will have to account for a number of different factors — like whether their building supports a pulley system within the ceiling — they can use Tokyo Kitty’s design as a model to replicate. Bars and breweries are beginning to replace their standard beer boards with digital equivalents. 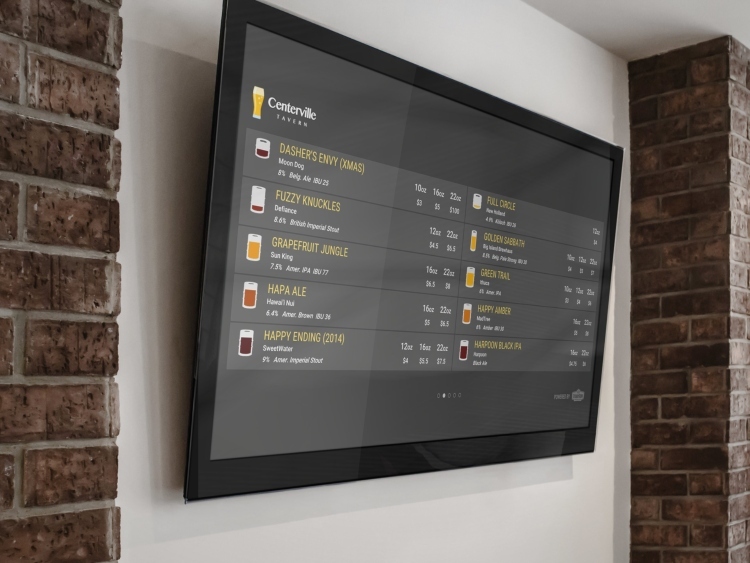 These digital beer boards serve the same purpose as their predecessors but have a few key benefits which have captured the attention of business owners. To start, they save a considerable amount of time. Staff members no longer have to erase a chalkboard and write their additions every time they want to update their board. Whenever they have a new brand of beer, they can instantly enter it into their existing selection. Furthermore, a digital beer board is clear and legible, easy for customers to read. Managers have seen the financial advantages of these boards, increasing orders by 3 to 5 per cent on average. Regardless of their bar’s aesthetic — whether it’s modern, traditional or something else entirely — they’ll find a graphic for their board’s background which agrees with the rest of their decor. As mentioned earlier, even the most capable manager needs support. During the busiest days of the week when crowds of customers are jostling for position at the bar, every member of staff has to perform at their best. More than that, the systems which process information at the bar needs to function. Fortunately, management professionals have software which simplifies their responsibilities. With the implementation of programs for streamlined administration, they can check their inventory, direct employees, order new stock, price products, balance financial books and produce and analyse sales reports. When managers delegate some of their smaller administrative duties to a program, they’re free to focus on what’s in front of them. This results in better service for the customer and fewer errors on the part of those operating the business. Bar inventory software is virtually indispensable in this regard. Digital menus and beer boards, robotic delivery systems and management software are all changing the way business owners operate their bars. These technologies and other, similar solutions have made a substantial difference for staff and customers alike. Each passing year brings something new to the table. With this in mind, it’s thrilling to speculate what the industry’s most innovative minds will serve up next.